In the 1991 French film Tout les Matins du Monde, Gérard Depardieu plays an aged Marin Marais—in-house composer at the court of Versailles around the turn of the 18th century. Gussied up in all the accoutrements of his station, a corpulent Depardieu stares off camera, filled with envy at the ambitious young man he once was. The real Marais studied under Jean-Baptiste Lully, who by the patronage of King Louis XIV singlehandedly defined the French baroque style. Listeners at Barnes were treated to his “March of the Turks” Thursday as part of a lively program by Tempesta di Mare. Much in contrast to the self-scorn of Depardieu’s Marais, who indifferently conducts the same march early on in the film, Tempesta brought flair and steady passion to its evening performance. 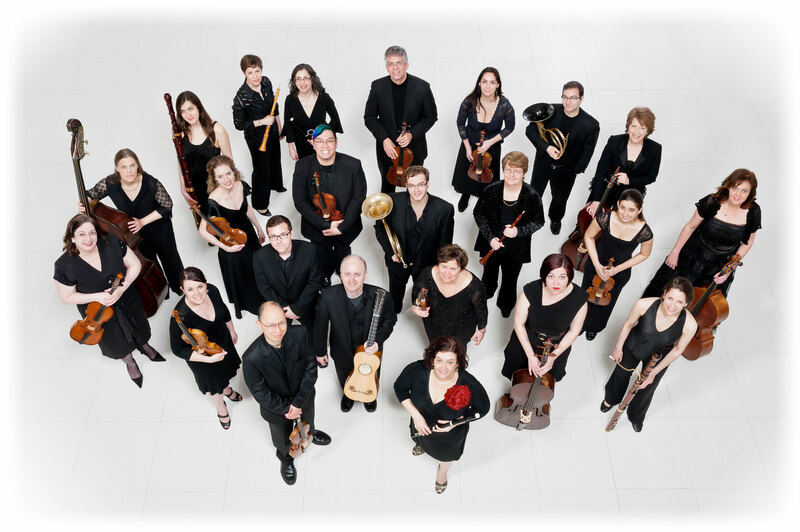 Under the title “Apollo at Play,” Philadelphia’s premier baroque chamber orchestra culled a thoughtful program of incidental music by Lully, British emulator Matthew Locke and 20th century iconoclast Igor Stravinsky before coming full circle to Lully protégé Johann Sigismund Kusser, whose Apollon Enjoüé, composed in 1700, ended the concert. Because the entire program consisted of music written for the stage, individual movements were as rich as they were compact. With its stately undercurrents and detailed orchestration, Lully’s descriptively astute Le Bourgeois gentilhomme (1670) set the bar high. Even without the titles provided for our edification, we could feel the sway of tailored cloth in the “Dance Teacher” scene and imagine the revelry of “The Uninvited Guests,” of which the Spaniards led the way with castanets and vihuelas blazing. On that note, Lully’s colorful palette represented a fascinating transition period in the evolution of Western European classical music, when the aristocratic impulses of court-appointed composers shared staves with motifs borrowed from earlier Sephardic traditions, as evidenced by the bevy of percussion at Tempesta’s employ. Consequently, Lully’s sound world was equal parts pomp and folk. Enhancing its spread were recorders, bassoon, harpsichord and theorbo, a sort of lute on steroids sporting an elongated neck fitted with sympathetic bass strings. The latter provided a visual element that was the subject of much pre- and post-concert conversation. Yet the theorbo, played by the ensemble’s co-director Richard Stone, was a subtle anchor for the dramatic goings on. So too, in Locke’s instrumentals for The Tempest (1674) was the canvas replete with vivid splashes of baroque charm. Shuffling weighty pauses into upbeat turns of phrase, lovelorn abandon into systematic denouements, Locke’s writing emerged swift and sweet. The next portion of the concert, however, brought to the fore what proved to be the evening’s only flaw: Tempesta’s battle with tuning. Although tuning issues first arose in the wind section of the Lully, the off-key slips of which were quickly smoothed over, in the all-string intimacy of Stravinsky’s 1928 Apollon musagète two mismatched cellos grated on the ears. Such inconsistencies, however, come with the territory, especially when performing on period instruments (although it seemed most were modern copies—the harpsichord, for example, having been built in 2012), and the fine musicians of Tempesta handled these hiccups with grace and fortitude. There were also the uneven temperatures of the venue itself, which required musicians to flit between a cold backstage room and a warmer auditorium: further proof, perhaps, that this year’s winter has overstayed its welcome. Nevertheless, they muscled through with a perseverance that certainly did not go unnoticed. All said, Tempesta gave us a treat with Stravinsky’s gorgeous paean to the French style. By turns mournful and frolicking, each movement was like a shard of glass in a slowly turning kaleidoscope. But the best came last with Kusser’s fabulous orchestral suite, from which the program borrows its name. Not only did the ensemble smooth out its tuning snags; it also presented us with the loveliest and most adventurous music of the night. Full of surprising twists and virtuosic performances all around, it left us all with something to smile about. In that respect, the joys won over the nitpicks. Challenges make us human, and finishing strong in spite of them is no small feat. In this respect, Tempesta di Mare reminded us of why we go to hear live music in the first place: to remind us that we are all human.